I propose three idealisms, which summarize all other idealisms generally. By this I mean there may be some minor differences but as a whole most "idealisms" will fit into one of these. 1. Theory S for Schopenhauer. This theory begins with Kantian epistemology but moves into a pre-Kantian ‘eastern’ namely Buddhist atheistic approach. In this theory, the noumenal world is singular and the phenomenal world all connected in this way, giving rise to sensations and compassion. This noumenal world is outside of time and space and is therefore complete and actual. There is meaninglessness but also peace at the heart of the cosmos, and humans can find solace through a life of compassion and indifference. 2. Theory B for Berkeley. This theory was pre-Kantian and theistic approach. In a very similar way the noumenal world is one, but is encompassed by the Christian God. In this sense, humans are inside of God which also include time and space and is therefore actual and complete. There is both meaning and peace at the heart of the cosmos, and humans can find solace in a life devoted to imitating Christ’s humanity which is based on both compassion and understanding. 3. 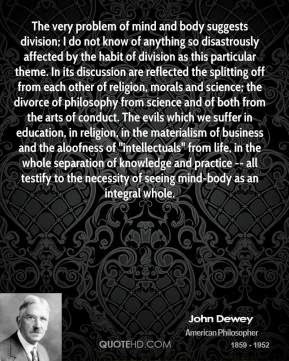 Theory D for Dewey. This theory is a post-Hegelian, atheistic and pragmatic approach. The noumenal world is multiple, as found in Kant, and it is also imperfect. There is chaos at the heart of the cosmos, and there is neither personal God nor transcendental unity to find solace or truth in. The chaos of the noumenal is found in the phenomenal world as well, and humans can find solace in a life devoted to practical and pragmatic work, in the name of improving the phenomenal world in whatever ways one can.